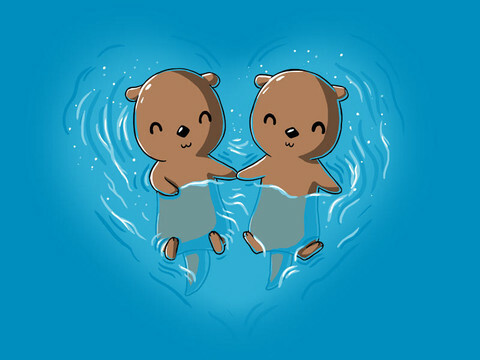 TeeTurtle.com are an outfit (pun intended) that specialize in t-shirt designs featuring animals and familiar cartoon characters of a particularly “chibi” variety. “Teeturtle was founded in 2012 by designer RamyB to scratch your insatiable itch for cute, funny, popculture-y shirts. Since then, we have made it our goal to provide the best possible experience for you… Here at TeeTurtle, our shirts are our pride and joy. That’s why we use only the softest shirts on the market. We know that you will fall in love as soon as you slip into one of our ultra comfy tees. Plus, with killer designs from both our in house artists and some of the best guest designers on the internet, what more could you want?” They said it. I see they've found a way to tap into the selfie generation to obtain promotional photos. The red panda is kinda cute. I’ve Seen That Shirt on TV!